Shape your sound, bring it anywhere. 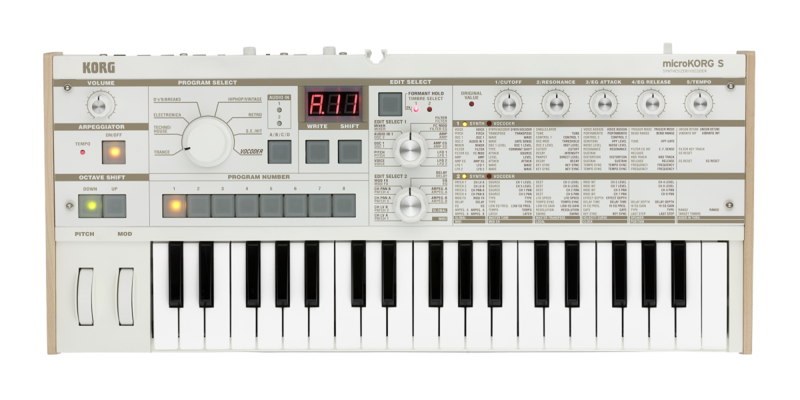 The microKORG S continues to build on the success of the original. With a serious sound, ubiquitous design, and superior build quality, the microKORG analog modeling synthesizer became an instant world standard when it was released in 2002. Since then, the microKORG has found its way into the hands of musicians far and wide, and now, receives an update to ensure it will remain one of the world’s most beloved synthesizers for years to come.